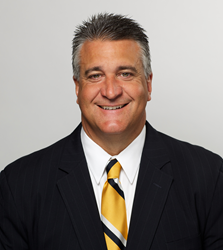 Bill Scavone, president and chief operating officer of Weichert Real Estate Affiliates, Inc.
Our goal is to provide our affiliates with best-in-class technology and comprehensive sales & marketing strategies – as well as incomparable support for both agents and franchise owners – to help them deliver the best real estate service in the industry. Weichert Real Estate Affiliates, Inc. has been named one of the top franchises in the country by Franchise Business Review in its “2018 Best of the Best: Top 200 Franchises” list, an annual ranking based on franchise owners’ satisfaction with their franchisor. This marks the third year in row that Weichert® has been recognized on Franchise Business Review’s prestigious annual list. Participants in the survey were asked questions about their experience and satisfaction regarding critical areas of their franchise systems including leadership, training and support, operations, franchisor/franchisee relations and technology. Weichert owners surveyed rated Weichert Real Estate Affiliates, Inc. very favorably, with nine out of 10 saying they enjoyed being part of the Weichert® network. 94 percent would recommend Weichert® to others as a franchise opportunity.